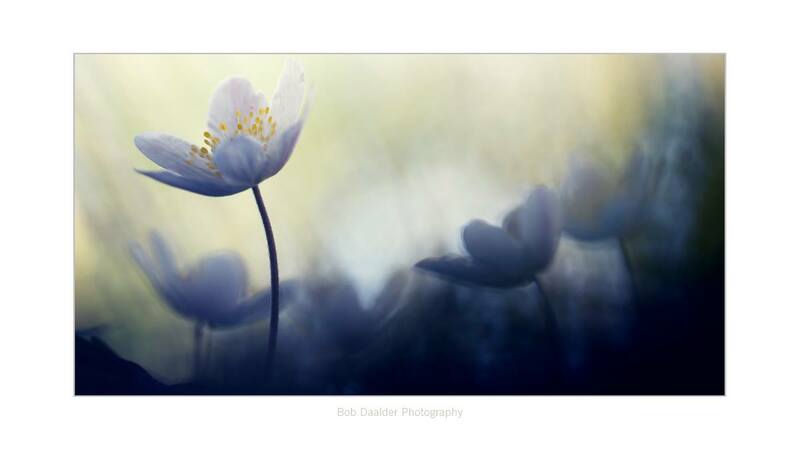 With Spring on our doorstep, it only seemed fitting to do a special “Photos of the Week” on winning MACRO PHOTOGRAPHERS. These are specialty photographers who have mastered Macro photography and deserve to have their photos listed as winning photos in the ” PHOTOS OF THE WEEK”. how he takes pictures of flowers. A beautiful close-up, with a twist of a dreamy effect that just makes it totally different than any other close-up photo you would see. I love this photo, and think this is just one of those you would see hanging on the wall in a frame. Congratulations Bob Daalder for mastering this art of close-up photography. amazed at looking at all the different things that he does. 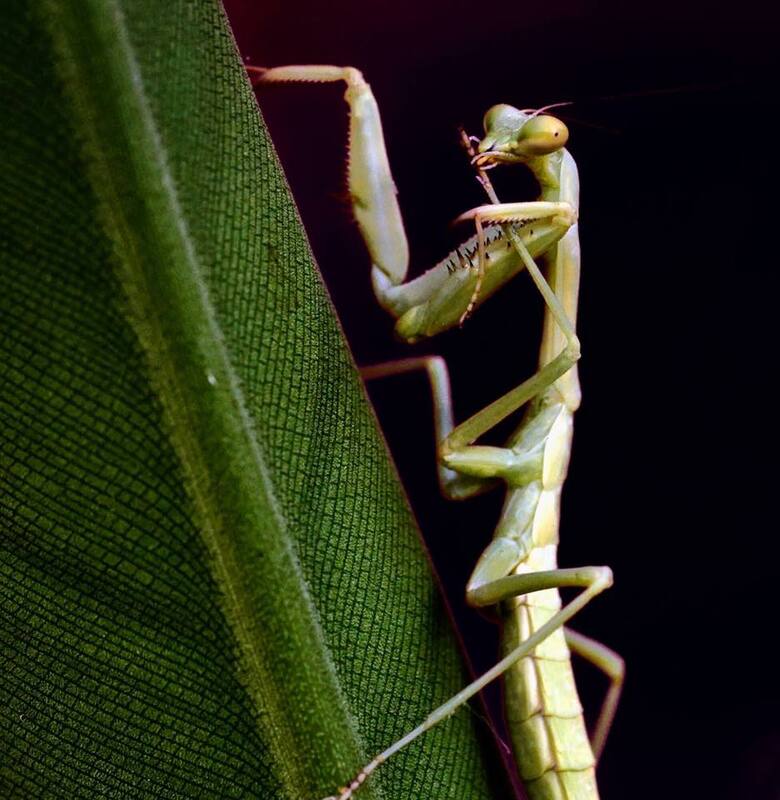 But, this photo of the praying mantis is incredible. I love how he captured the “animal” looking towards you, like he is posing for the picture. Just great patience. And the dark background, makes this look like a studio-type photo. Great job by a great photographer. ( He has a beautiful collection of the most amazing photos. I feel honored that he has given me permission to use his photo). But, it is a winning photo for sure, and that is why I find these amazing artists on this website. Thanks Jeff ! It seems sometimes that once you find a good photographer, that you will find that he/ she could do it again. Congratulations to Jose for winning another one. 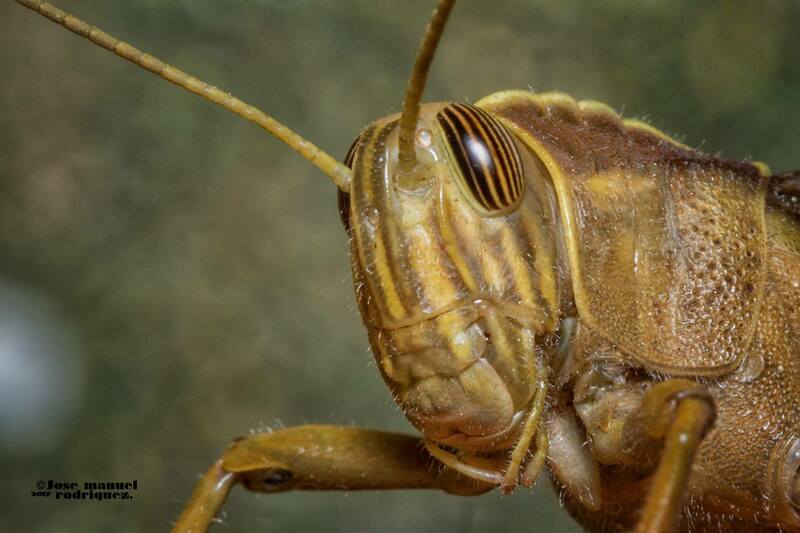 May we introduce to you this amazing grasshopper. I think of the amazing macro lens it would take to get this close. Great depth of field to get the photo this well. Good job Jose. This photo comes from a collection of photographers who come from a unique group of photographers. They often post their photos and their names are often not mentioned. If I ever get the name of this photographer, I will repost this photo and give them full credit. But, check this out. What an amazing photo. 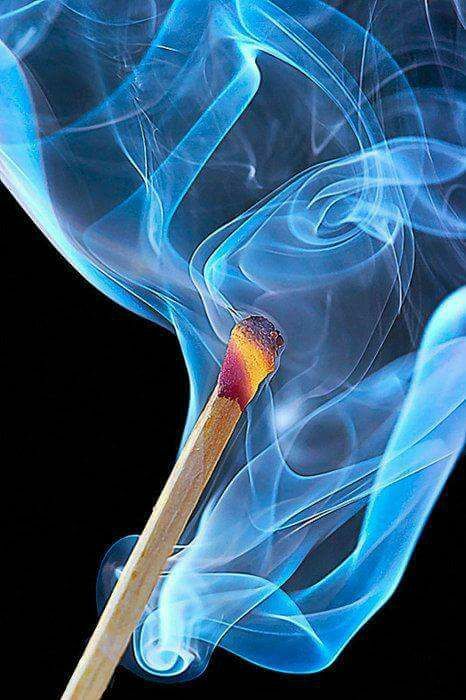 A close-up of a match taking off with fire, but, just the smoke at first. I don’t know how many times you would have to take this photo to get it just right, without all the flames in it. But, this took a lot of tries to get it this way. Amazing photo, and great macro work. Adriano Lompi comes from the beautiful town of Asti, Italy. And sometimes, as I look at all the photos he takes, I think he must live in heaven or close by it. The flower photos he takes are amazing. Sometimes when people take pictures of flowers, their depth of field is just off a bit, but, not Adriano’s. It is perfect. Every flower photo he takes is breathtaking. 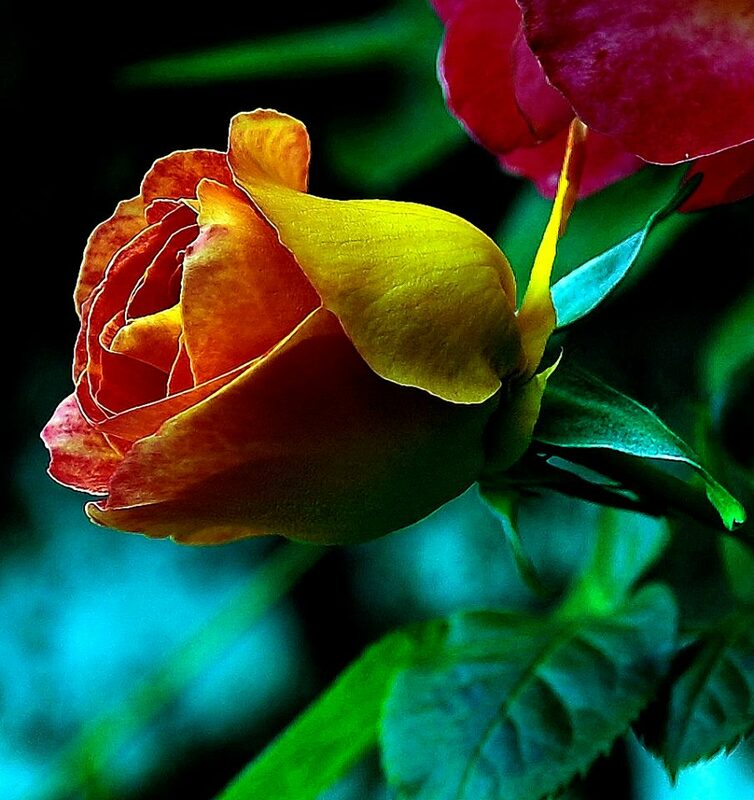 The colors are always rich, vibrant and just amazing. I just want to reach out an touch them, his photos are that much alive and real. Congratulations Adriano for sharing your photos, and making the winning list, AGAIN. Yes, his photos have won before. This is truly one of those amazing photos if you look and analyze this. That flower is a dandelion flower. That flower itself is usually not much bigger than a quarter (U.S. coin). So, that frog is very small. So, the macro work on this is amazing. 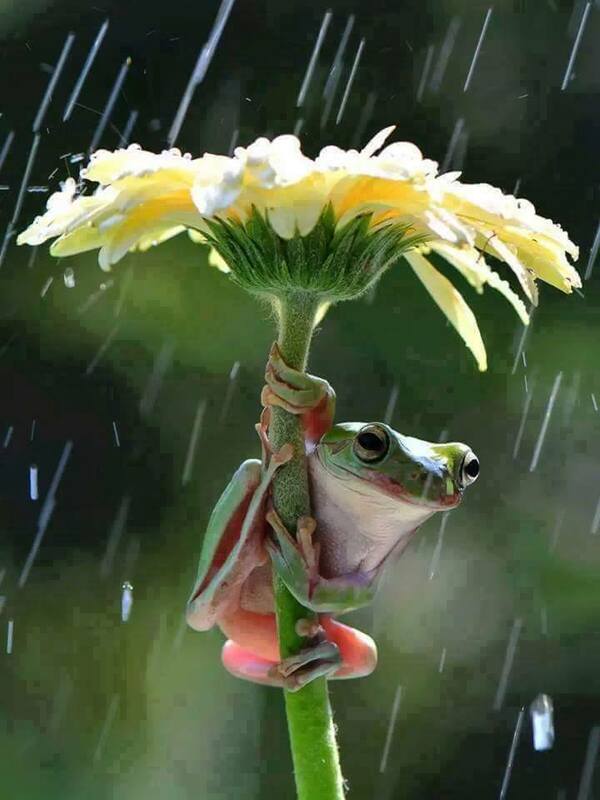 It is kind of an amusing photo, using the flower as an umbrella. But, certainly a winning photo. Once again, because this was posted in this group, no mention of the photographer with this photo. It does list a group of people who contributed to this photo. So, let’s add those names: With Silente Quiin, Fahri Hatun, Rúpäk Pramäñïk, Prerana Deshmukh and Trimiksha Rajpoot. Although, no mention of who gets credit with this group is mentioned. But, congratulations to this group for contributing to the production of this photo. It is truly an amazing winning photo. One more photo with no photographer’s name mentioned, but came from the group: Many Wonders. And this is a very rare photo of the worlds smallest bird. So, we can give credit for sure of the macro work that had to be done to capture this photo. 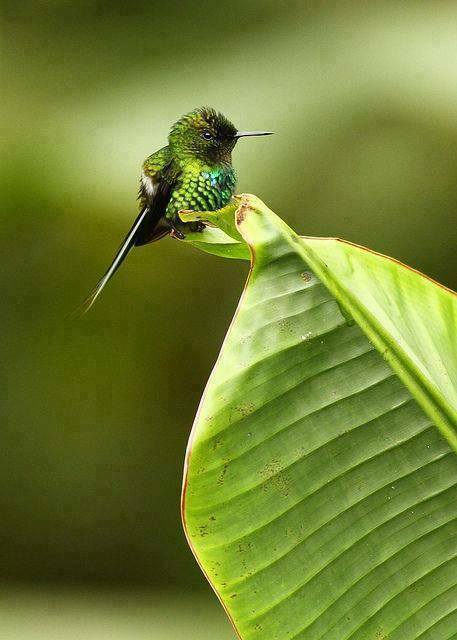 With a mass around 1.6–2 g (0.056–0.071 oz) and a length of 5–6 cm (2.0–2.4 in), it is the smallest living bird. The male has the green pileum and fiery red throat, iridescent gorget with elongated lateral plumes, bluish upper-parts, and the rest of the underparts mostly greyish white. The male is smaller than the female. The female is green above, whitish below, with white tips to the outer tail feathers. Compared to other small hummingbirds, which often have a slender appearance, the bee hummingbird looks rounded and chunky. Female bee hummingbirds are bluish green with a pale gray underside. The tips of their tail feathers have white spots. During the mating season, males have a reddish to pink head, chin, and throat. The female lays only two eggs at a time, each about the size of a coffee bean. As the smallest bird in the world, its weight is less than 2 grams or about equal in mass to a United States dime. As its name suggests, it is scarcely larger than a bee. Like all hummingbirds, it is a swift, strong flier. I had to put that information in, because I had never heard of such an animal, and was really curious about the bird, and I thought you might be interested in it too. Well, that’s this week’s winning photos…. all done with macro lenses or close-up photo equipment. I think these were all amazing photos. Congratulations to all the winners, and I look forward to great relationships to all the photographers in the future.